This entry was posted in news and tagged awards MINI Countryman MINI Roadster on July 25, 2015 by James Day. 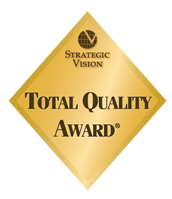 Strategic Vision released its 2015 Total Quality Awards Winners List and a couple of MINIs made the list. As you can see, the criteria is very subjective. The discontinued MINI Cooper Roadster won the Standard Convertible segment beating out the Volkswagen Beetle Convertible. The Roadster scored a 935 out of 1,000, the highest score of any car in any segment. The MINI Cooper Countryman tied for first place with the Dodge Challenger in the Specialty Coupe segment although it had a slightly lower score (893 versus 895 for the Dodge). In Second place was the MINI Cooper Hardtop 2 Door (892).